This post breaks almost two full weeks of blog silence from me. I simply couldn’t write or think it seems, and I was conscious of the potential for my writing here to be overly self-indulgent and maudlin. So it seemed best to make my lists, catch up on the housework that had been neglected and begin meeting some of my poetry submission deadlines again until I was ready to blog. Sometimes doing the mundane tasks helps to clear the mind of the sludge that builds up, especially when the build-up is the residue of great sadness. It’s been a difficult month here with the loss of a very dear friend who decided it was better to take her own life than go on suffering in ways that were deeper than we knew. But there has been good news as well. My sister had a cancer scare, but her lumpectomy went well, and it appears that the cancer was not “invasive,” that it was confined to the area that was removed. She will have to undergo some radiation treatments just in case, but there is apparently no more cancer in her body. On top of that, my other sister, as well as the mother of my children each got their mammogram results back, and both were thankfully normal. Today’s post is part of my attempt to catch up with John Nooney’s “Reading Out Loud Project” on Poetically Versed. I can relate to Marge Piercy in this one. In the case of this week, the making of lists, the checking things off was a way to break through the paralysis of depression, a putting of one foot before the other, knowing that the fog would eventually lift, and that movement of any kind would help bring me out of it more quickly. I have a good life, and aside from some financial concerns and a handful of worries. . . well, and this recent loss. . . and what comes with it, namely the fear of what might be lost next. . . well aside from all that, I know that my moods always, eventually improve, and that sometimes all I can do is to push through until they do. For some it is much more difficult, and movement is nearly impossible without some sort of help to surmount whatever physiological and chemical hurdles our brains and bodies face. On the upside, lists can be fun. Not in the way that housework is fun, because it isn’t, but in the way that having completed housework is fun. After labor comes play or relaxation, and I understand Piercy; sometimes I too like to write things down that were already done, just ahead of the list-making, because the added pleasure sometimes gives the boost I need to do the next thing. You can hear John’s version of this poem by clicking right here. What follows below is my interpretation of “The Listmaker,” by Marge Piercy. You’ll notice in the opening credits I had written it as two words. My mistake. Apparently the title is so important to Piercy that she felt it worthy of creating a new word. Oh, and I have already recorded and uploaded this week’s project to YouTube, so I’ll be posting that later tonight, along with a bit of John’s easy-as-pie guidelines for participating yourself. fine cracked corn, 1 sunflower seeds. oil bill. Decide about Montana. or disbelieve in its existence? To rise at five some morning and fly there? A buried assent or denial rots beneath. of striking them out, checking them off. folding the tent of its broad dusty wings. at a time like a board game. into chairs, into frogs, into running water. All lists start where they halt, in intention. Only the love that is work completes them. I always enjoy your post and readings…it feels nature to me as I listen…makes me feel at home. 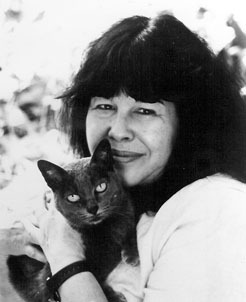 It’s nice to see and hear you back and with a Marge Piercy poem at that. “A Work of Artifice” is one of my favorites, and now having heard your interpretation of this one, it is too. Thanks, HC! I will check the “Artifice” poem out. Thanks for the tip! And thanks for the kind words. First: I’m sorry for your loss — especially the circumstances of it. Secondly: Hooray for good news re: sister! You know that I love listening to you read — you’ve just a voice that is pleasing to the ears, mind, spirit. But, this time… you’ve outdone yourself, my friend. You’ve left your formal poetry reading voice aside, and really, this seems just like you talking … it’s fantastic. Love the bit with the glasses! I liked this poem, mostly because, as you know from my other blog, I’m not a listmaker. But, I struggled a bit with the last few stanzas. They made sense, but, somehow they weren’t connecting with the poem as a whole. Reading your story, then listening to this fantastic reading of yours, really made the whole poem come together for me. Thank you for that. Wow. What an amazing response! And hug accepted. I’m glad it’s from you, because Colorado hugging me. . . I just fear the bruises that might be left by Pike’s Peak, and the dunes leave all that sand in one’s hair. I am tickled to know that hearing me read it opened it up for you. You did that for me with Lady Lazarus, you know. Exactly the same reaction from me. It just wasn’t sinking in until I heard you read it. I think that’s a big part of what makes this project of yours so important, and I hope it catches on. I will share this one with Ygor as well, and I passed this along to the Poetry Under the Paintings Facebook group. My Poetry Guru, doing an absolutely killer reading of Marge Piercy’s “The Listmaker” for my Reading Out Loud Project…. Thanks, David! I hope the rest of you enjoy it as much as I did! As someone who appreciates the dramatic arts, I particularly like the way you use your glasses in the video. I get a little frustrated with Piercy sometimes, because I feel like I have to wade through a bunch of stuff that I don’t care much for to get to the good stuff at the end. She is too careless with my attention; she lets it drift away from her and takes a chance on whether it will be back in time to hear what she really has to say. I follow what you mean. Yes, she is often in her own world, almost careless of whether or not the bag of corn or the Dahlias mean anything to us. But she’s always been so successful in bringing me in halfway through that I am willing to give her the time. My favorite piece by her is for the Young Who Want To. I have a reading of it somewhere on YouTube, or I did. I think I might have hidden in with the thought toward rerecording it again without the lengthy intro. Your video comes up on a google search for the poem’s title, so I think it’s still there, but my internet wouldn’t load it, so maybe it’s not. It is a good one, though. In my poetry book there was an exercise on writing lists in poetry… You guessed it, mine was about wrestling -_- But there was a really nice one about an Indian Resturant! Will try and find it sometime!